Well... this is the first wallpaper I do! The chibis look adorable! I just think the clouds in the background look off, maybe if you did the Akatsuki clouds. 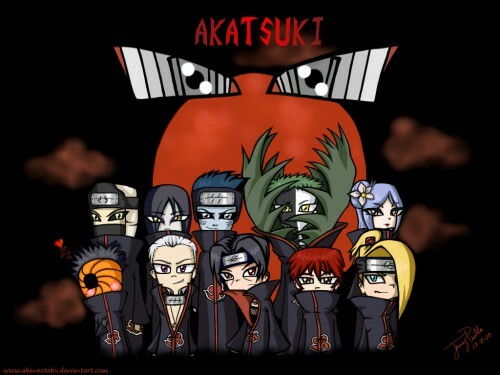 this chibi akatsuki isn't look bad,not like in the true story ! haha, chibi akatsuki! never thought I see it.